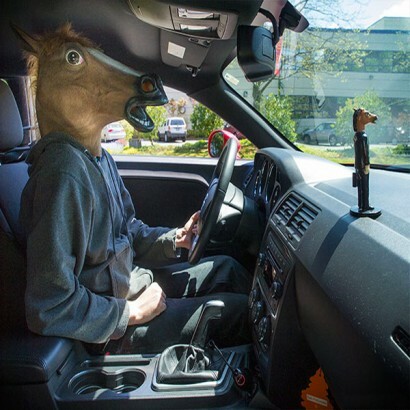 Driving can be a lonely game, littered with traffic, breakdowns and endless tailbacks. 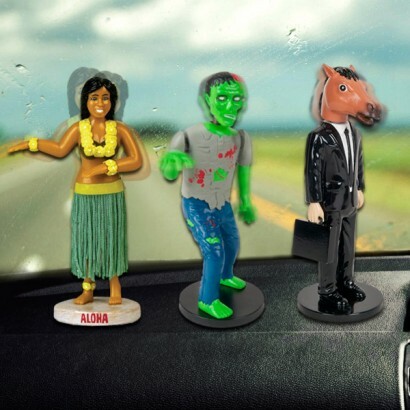 Take solace in the Dashboard Wiggler; a constant companion on journeys near or far, and a friendly face to soothe or support your road rage outbreaks. 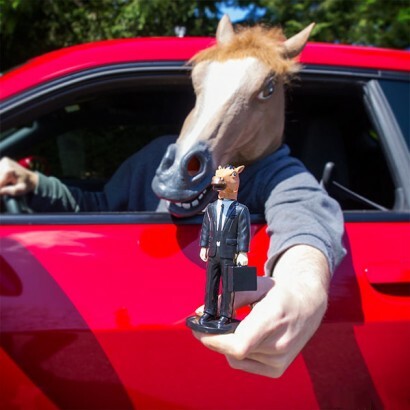 Dashboard Creepy Horse Man - Nobody knows where the horse head craze appeared from, but it continues to sweep the world in a haze of creepiness. 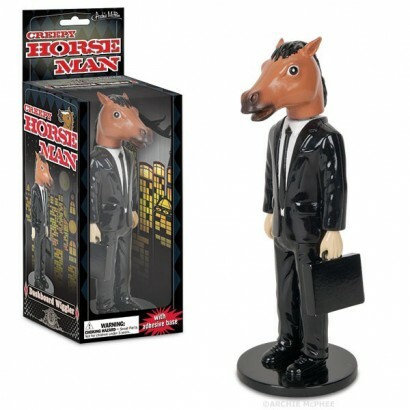 The Creepy Horse Man Dashboard Wriggler allows you to show your support for the horse head movement, even at times when it isn't socially acceptable to wear your own latex horse mask. 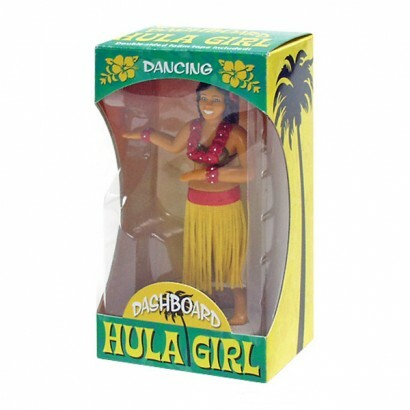 Dashboard Hula Girl - The original Dashboard Wiggler! 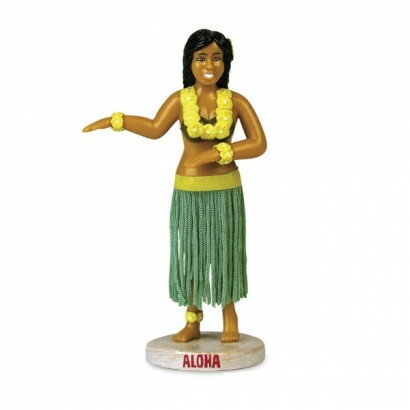 Retro, kitsch and easily the most iconic dashboard decoration of all time, this saucy minx wiggles her hips with a dose of nostalgic Hawaiian charm. (VW Camper Van optional, though highly recommended). (Colours may vary). 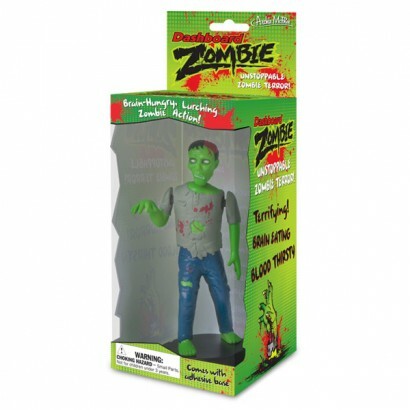 Dashboard Zombie - Just as you spend your journeys wondering if fellow drivers actually have any brains, so too does this brain eating, flesh feasting fiend. 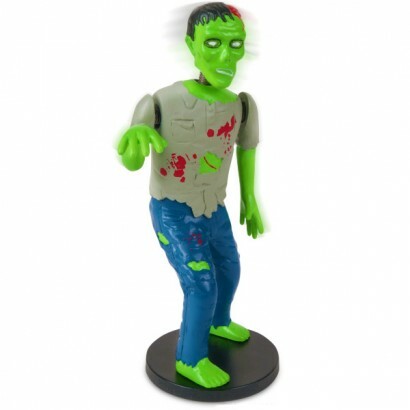 Watch him shiver and twitch, all the time imagining him consuming every driver that cut's you up. More a fan of furry dice? The glow jellyfish ornament is a kooky squishy jellyfish, that just like their real life ocean counterparts, glows in the dark! 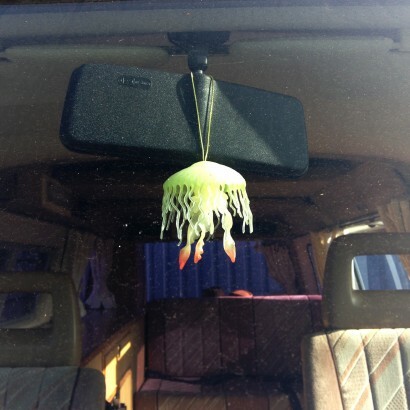 Perfect for hanging from mirrors or passenger handles perking up the interior of your car with a cool glow!